Interest in cryptocurrency is rapidly growing among venture capital and private equity investors. This is demonstrated in part by the explosion in the number of crypto funds from 58 to more than 225 in the first half of 2018. Venture capital firms are creating funds specifically to invest in the crypto space, while other alternative investment managers are using existing funds to make investments. But with regular headlines serving as frequent reminders of the volatility of the cryptocurrency segment, investors engaging in this uncharted regulatory space should pay special attention to investor communications as well as their insurance contracts. 1. A lack of regulation is risky. Cryptocurrency is new, and its regulatory environment is immature. In order to mitigate your company’s risk in this uncertain environment, it is important to have proper insurance coverage in place. 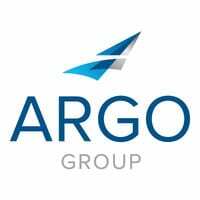 Be sure it includes coverage for regulatory inquiries and formal investigations, which are offered by Argo Pro’s Private Equity PROtectSM, a fully integrated policy with enhancements including third-party cyber coverage, executive protection coverage and non-indemnified limits for executives. 2. Be transparent in limited partner communications. As the crypto space grows, funds may receive more scrutiny from limited partners monitoring the industry. As a result, the funds’ investment process may also receive more attention. Make sure your offering documents are clear on the funds’ investment strategy and fee structure. 3. Have proper valuation practices in place. Part of being transparent is providing clear financial updates on investments to limited partners. Use a third-party valuation firm to validate the pricing of your portfolio – it’s the best way to foster confidence from all parties, which alleviates the challenges of pricing newer emerging industries. Know what is going on in the regulatory environment and in the news. Pay attention to what is happening in what is, frankly, an unproven environment. In particular, follow the SEC’s guidance and comments in this area. Volatility is always a risk. However, the volatility of the investing environment surrounding the crypto segment has never been higher. Only time will tell what the future of cryptocurrency holds. In the meantime, investors would do well to proceed with eyes wide open and the proper insurance coverage in place. Scott Kelley has been in the specialty insurance business since 2006, serving as a broker and underwriter for financial institutions risks. He currently manages Argo Pro’s Western Region Financial Institutions book.